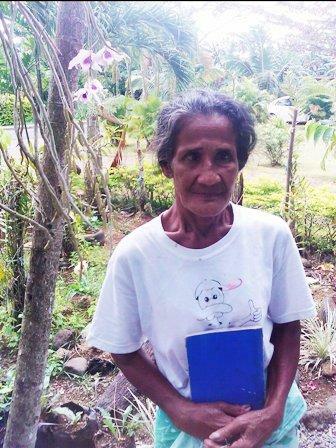 A loan of $4,175 helped to buy a large roll of barbed wire for protection of her produce, timber for the fence, screen wire, petrol, nails, fertilizer and two wheelbarrows. Akala is a 63-year-old widow with three children. She has a a large plantation and vegetable farm as well as a greenhouse nurturing a variety of beautiful flowers which she sells in her community or at the market. She has been doing this for five years. Akala needs a loan to buy a large roll of barbed wire for protection of her produce, timber for the fence, screen wire, petrol, nails, fertilizer and two wheelbarrows. She has been a member of SPBD since 2009. Akala will use the profits from her sales to pay for her family's weekly expenses.